The B&W (Black and White) Edition has the same inspiring content and illustrations as the Art Edition, only it is printed in beautifully crisp gray-scale. Go beyond simply what to put in your resume, and transform yourself into a creative resume designer: learn how and why. 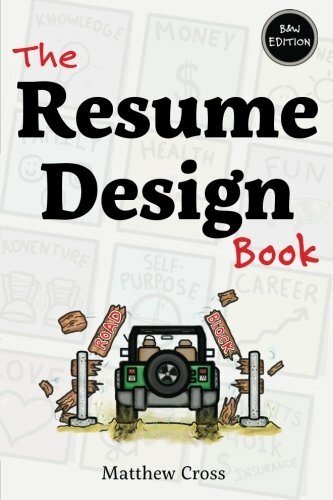 Design thinking exercises for building a truly unique resume. Innovative tips and tricks for an advantage over competition. Over 100 original gray-scale illustrations to help you visualize and understand ideas, insights, and advice. Click cover page image below to "look inside"